Manchester United fans will be delighted to know that four major players in the squad have rejoined the club after their extended holiday break. United confirmed via their official website that Phil Jones, Romelu Lukaku, Marcus Rashford, and Victor Lindelof have all returned three days early, in order to bolster the team ahead of the trip to Munich. A large number of players from the squad were missing during Manchester United‘s pre-season tour in the United States, either due to injury or due to an extended break because of the World Cup. Manager Jose Mourinho time and again highlighted the fact that he was missing plenty of players, which resulted in a lot of academy and reserve team talents making their senior debuts for the Red Devils. 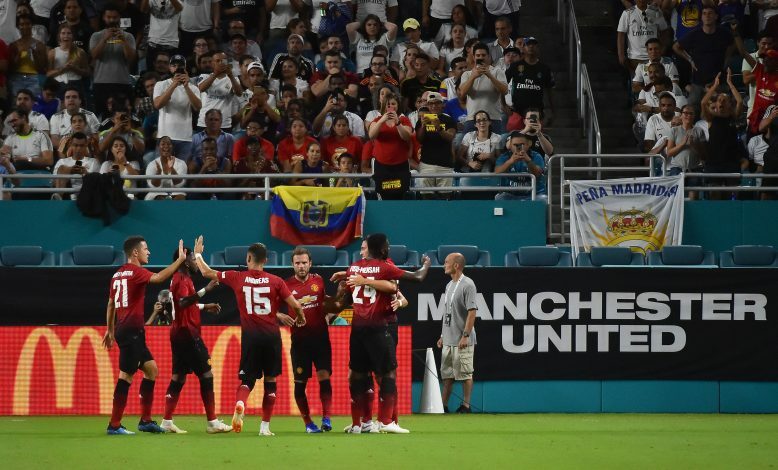 Despite the obvious absence of their stars, United still managed to emerge 2-1 winners over Real Madrid in the International Champions Cup, with goals from Alexis Sanchez and Ander Herrera proving too much for Los Blancos to handle. On the flip-side, United also lost 4-1 to arch-rivals Liverpool during the tournament, prompting a post-match meltdown from Mourinho during a press conference. Nonetheless, the arrival of Jones, Lukaku, Lindelof, and Rashford will be a huge boost to the squad, as they get ready to take on Bayern Munich in Germany, just days before the English giants get ready for their first Premier League game of the season against Leicester City on August 10. United still have some pending transfer business to complete, however, and a few fresh faces may still make their way to Old Trafford in the coming days, with Yerry Mina, Harry Maguire, and others very much in the running to make a switch. With August 9 set as the deadline day in England this year, that business should be wrapped up pretty quickly.